In November, Julie LaPalme, CHI’s Program Director, attended the Co-operative Summit of the Americas in Montevideo, Uruguay where the SDGs were also widely discussed. 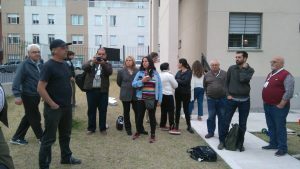 Cooperativas de las Americas and the Uruguayan Federation of Housing for Mutual-Support Cooperatives (FUCVAM), organized a two-day housing conference and tour. The IV Summit of the Americas – Co-operatives: Working together for sustainable development conference will gather over 800 co-operators and stakeholders in Montevideo, Uruguay from the 14-18 November to work together on identifying common initiatives, proposals and strategies on three main thematic areas: economic, social and political situation in the region; strengthening of Social and Solidarity Economy; and contribution of co-operatives to the achievement of the UN Sustainable Development Goals, through an extensive five days programme of activities. 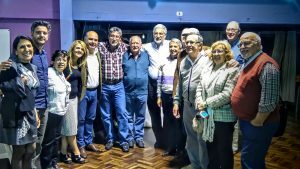 Find out more about co-operatives in Uruguay, including its 1,600 housing co-operatives, in their introductory video to the conference.